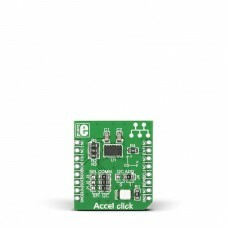 Accel Click is an accessory board in mikroBUS form factor. 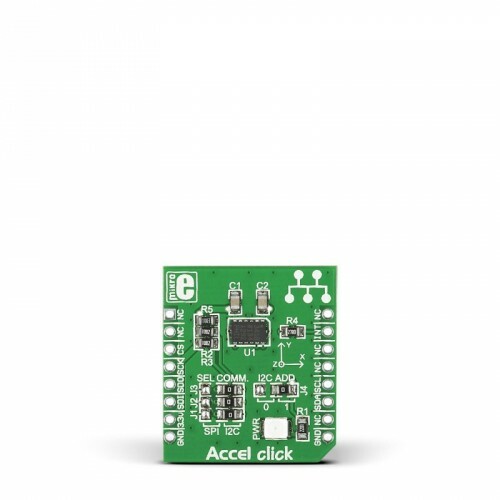 It features ADXL345 3-axis accelerometer module with ultra-low power and high resolution (13-bit) measurement. Module supports several sensing functions such as single/double tap detection, activity/inactivity monitoring, free-fall detection etc. It has memory management system with a 32-level FIFO buffer to store data with minimized host processor activity. 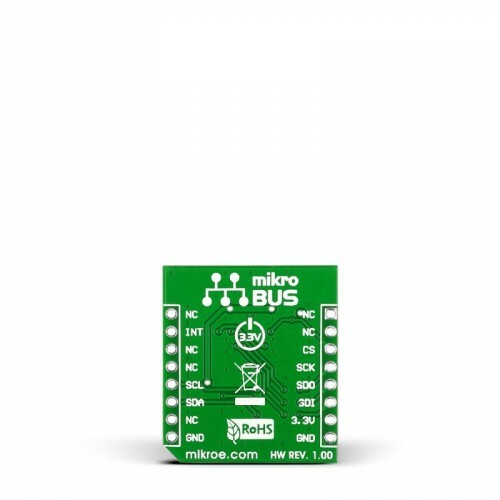 Board is designed to use 3.3V power supply only. 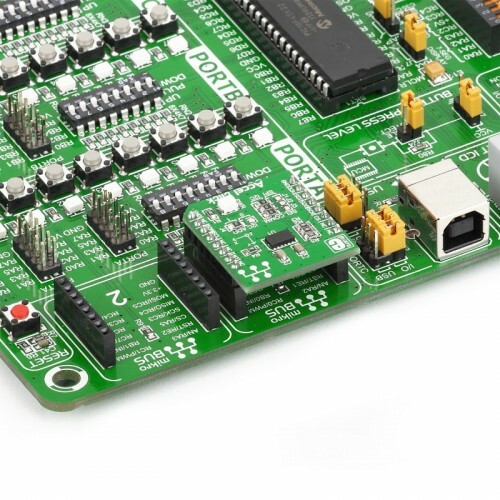 Applications Board is ideal for mobile devices, medical and industrial instrumentation, navigation devices, hard drive protection and more.